Yes, it might mean organic, but used alone it is more likely to mean compost. 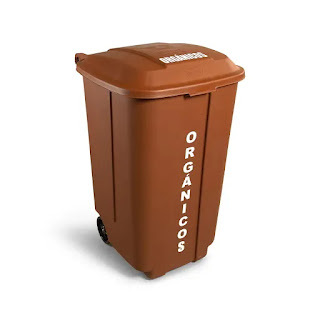 I was impressed that Barcelona had compost pick up on the street. Apparently Madrid does too.